Renowned designer, Izzy Camilleri, Founder of IZ, a fashion company for people with disabilities launches campaign ‘Access10’ to raise awareness and funds for accessibility. Since 2009, Camilleri has become the pioneer of functional and accessible clothing for people in wheelchairs, a concept that did not exist before. 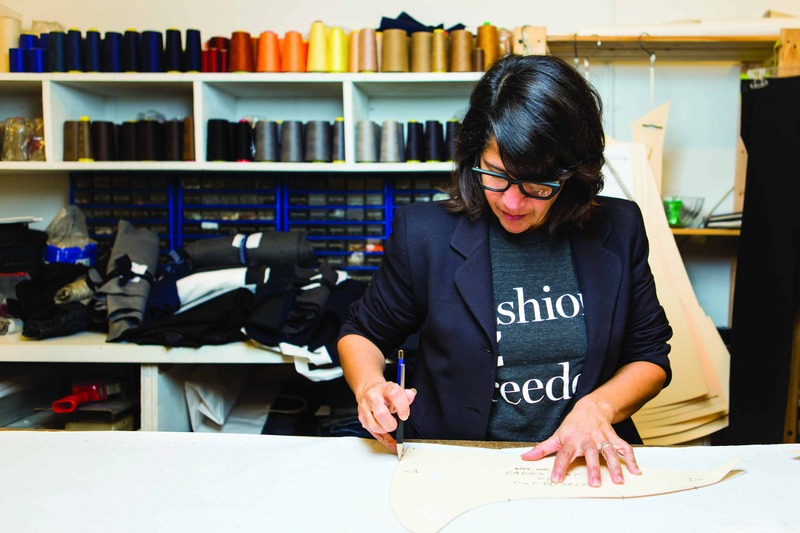 The experience inspired Izzy to create IZ’s first collection of style-savvy adaptable clothing. Her dedication and commitment to helping people with mobility issues inspired the launch of the new campaign, called ‘Access10.’ With every product purchased from Access10, IZ will give 10% of its total gross sales towards projects to help increase accessibility. 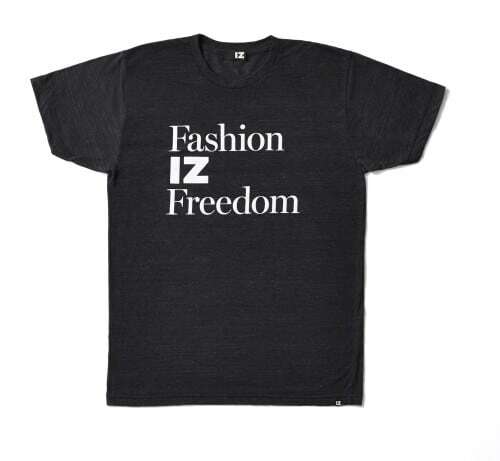 As part of the campaign, Camilleri has designed a custom ‘Fashion IZ Freedom’ t-shirt, to give people with all abilities the chance to support and share IZ’s message. Tees can be purchased at izcollection.com, from which 100% of all profits will go towards the company’s mission of making the world a more accessible place. What was the biggest challenge in getting IZ Adaptive Clothing off the ground, and how did you overcome it? I can’t pin it down to ‘one’ big challenge because there were so many that were all big when I started IZ. Clothing like this never existed before, so I literally needed to start right from the concept and figure out blindly what I needed to do, from the design of the clothes to how I would get the word out and find customers, to how I would sell the clothing. There was obstacle after obstacle that needed to be cleared. The overcoming part came from hard work and not giving up. Having my work exhibited at The ROM was a true high point, probably the highest point in my career thus far. My IZ line has been called revolutionary. I never thought I would do anything that was revolutionary, so that’s been a huge accomplishment when having created IZ. I was lucky enough to attend Fashion Follows Form: Designs for Sitting exhibit at the ROM. Fashion is a huge part of my life, and I never considered how not having access to fitting and functional clothing on a day-to-day basis could impact one’s morality. Is there anything I can do to get involved and help the cause? Helping to spread the word and raise awareness about the IZ Collection is a great start to helping more people have access to beautiful clothes, and helping them to look and feel their best. We currently have a t-shirt campaign called Fashion IZ Freedom. 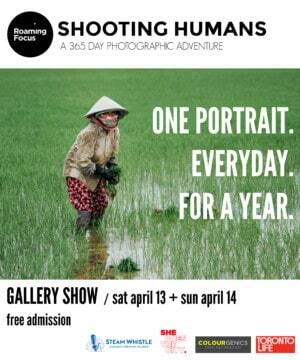 100% of the proceeds are going towards helping to make the world a more accessible place. We are asking people to by the tee, take a ‘seated selfie’ and post it on their social media platforms to help spread the word and raise awareness. In your opinion, has the fashion industry become more inclusive of disabled people over the last five years? And where do you hope to see it go in the next five? The fashion industry has become more inclusive, by including people with disabilities in runway shows etc., but the actual clothing has not been modified at all. It seems to be a trend or wave right now that many are riding, but it hasn’t gone much further than that. More companies are starting to recognize this demographic and steering in this direction. With clothing, there are some details that can be made universal, but for people that use a wheelchair, their needs are quite unique and specific to their seated frame as opposed to a standing frame, which is how clothing is designed and produced. What do you love most about your career right now? I love that I’m walking to the beat of my own drum. I’m creating something that never existed before and, at the same time, making a lot of people really happy with what we have to offer. Do you have any projects or initiatives in the works that you can share with us? I’m focusing all my energy into the IZ Collection, as it needs my full attention right now. Through our online store, we sell globally, so keeping up with the demand and continuing to grow as a company is the current initiative. later that it has mostly Indian retailers listed with it. Anyhow, thanks a ton!